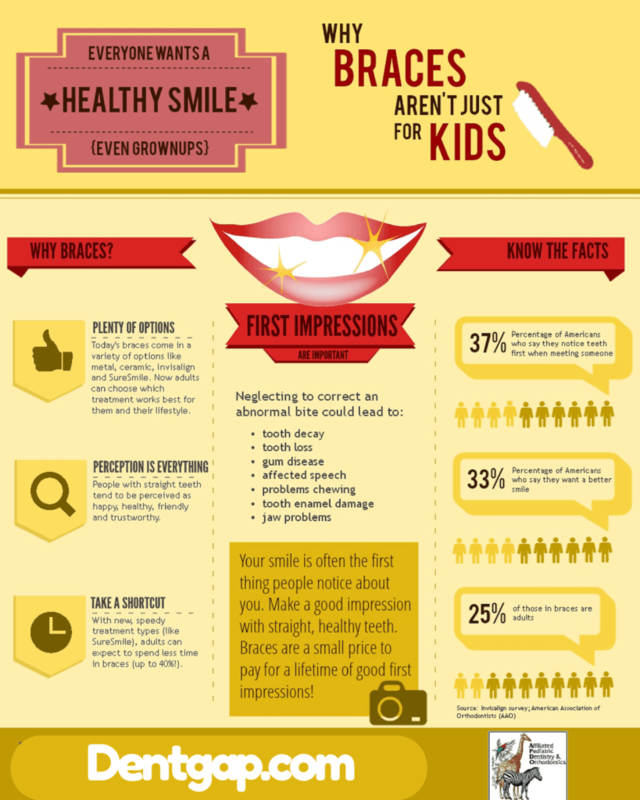 This infographic can show you, that kids are only who can use braces. But adults can also use braces perfectly and makes your tooth look good. You can see Images of braces before and after.